In accordance with Section 22(1) of the Employment Standards Act, 2000, employees in Ontario are entitled to pay at 1.5 times their normal rate of pay for any hours they work in excess of 44 hours per week. 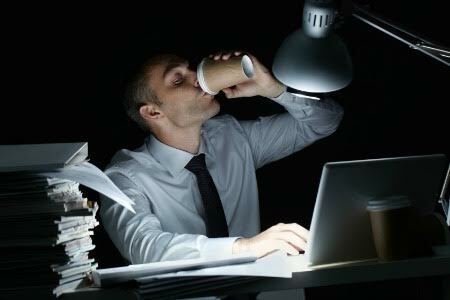 There are of course, exceptions to the general rule, and several types of employees are exempt from overtime pay. For example, in accordance with section 8 of Regulation 285/01, the Exemptions, Special Rules and Establishment of Minimum Wage, firefighters, persons employed as a fishing or hunting guide, landscape gardeners and even persons employed to grow mushrooms are exempt from overtime. The interesting question is whether the above exemption applies when an employee performs both managerial duties but also non-managerial duties. Based on the language of the exemption, it would seem that employees who perform non-managerial work on a non-irregular basis or non-exceptional basis, are entitled to overtime pay. What exactly “non-irregular or non-exceptional” means, however, is open to interpretation. The ESA is intended to establish fair, minimum standards of employment in order to remedy the unequal bargaining position of individual, non-organized, employees in relation to their employers: Machtinger v. HOJ Industries Ltd., 1992 CanLII 102 (SCC),  1 S.C.R. 986, at para. 31. In Tsakiris, the court found that the Plaintiff – who held the title of “senior manager,” was earning about $200,000 annually and was only one step below a partner in terms of seniority – was exempt from the entitlement to overtime pay under the manager exception. Despite the fact that the Plaintiff performed non-managerial duties such as drafting memoranda, and performing secretarial work, the court still found that these duties did not change the character of the Plaintiff’s employment. In substance, the court found that the Plaintiff’s employment was managerial and accordingly that the exception applied. The decision in Tsakiris is an interesting one for consideration, and its import is clear: more often than not an employee with managerial duties will not be entitled to overtime pay. The decision in Tsakiris relies heavily on a purposive interpretation of the manager exception. The plain and ordinary language of the provision tends to suggest that if an employee regularly performs non-managerial duties then the exception does not apply. For example, if a “manager” performed non-managerial work 20% of the time and on a regular basis, then arguably the manager exception should not apply in the circumstances since non-managerial duties would be a regular feature of the worker’s employment. Call Monkhouse Law today for a free 30 minute phone consultation if you are terminated from your employment.